The Battlestar Galactica movie has found itself a new writer. Universal Pictures has been developing a new big screen adaptation of the classic sci-fi series for several years now. As is often the case with projects such as these, it takes a while to crack the right story and for the stars to align. Now, the studio has brought in writer Jay Basu to help get the screenplay where it needs to be in order to make this movie a reality. According to a new report, Universal has hired Jay Basu to rewrite the screenplay for Battlestar Galactica, working from a previous draft penned by Lisa Joy, of Westworld fame. Basu most recently worked on Sony’s reboot of the Dragon Tattoo franchise, The Girl in the Spider’s Web. He’s also working alongside Fede Alvarez on Labyrinth 2. Some of his other credits include the upcoming Charlie’s Angels reboot and Monsters: Dark Continent, a sequel to Gareth Edwards’ low-budget directorial debut, Monsters. It’s not clear if this is just going to be a simple polish and punch up on Joy’s script or if this is going to be a massive overhaul. Either way, Basu has been tasked with getting it right. Battlestar Galactica, in its current form, really got going in 2016 when some new producers boarded the project, then caught a bit more steam when Hunger Games director Francis Lawrence signed on to helm the movie. Earlier this year, Lawrence indicated that the project is still happening and that he may even be interested in gender-swapping some of the key roles in adapting the franchise for the big screen. Some of that may be up to Jay Basu now, depending on how much say he has on what ends up in the script. 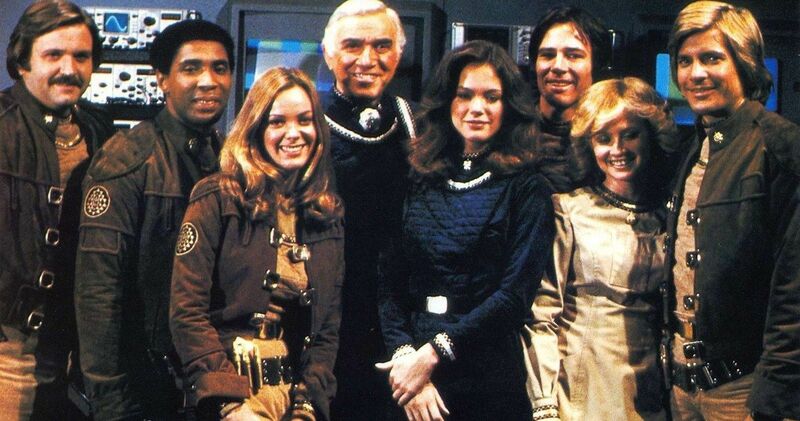 As a response to the popularity of Star Wars, Battlestar Galactica was first introduced to the world in 1978, leading to a relatively short-lived TV series. However, its popularity maintained enough that other iterations popped up over the years. In 2003, SyFy (then Sci-Fi Channel), aired a miniseries that ultimately led to the 2004 TV series, which ran until 2009. That particular version of Battlestar Galactica was very well-received and is partially credited with ushering in the current golden age of television and was even ranked as one of Time Magazine’s 100 greatest TV shows of all time. The plot centers on a group of humans in the far reaches space in the distant future who are in a heated battle with the deadly Cylons. Dylan Clark (Dawn of the Planet of the Apes) and Michael De Luca (Fifty Shades of Grey) are on board to produce the project, with Scott Stuber (Ted) set as an executive producer. There is no word on when the Battlestar Galactica movie could enter production, nor has a release date been set by Universal at this time. We’ll be sure to keep you posted as any additional details on the project are made available. This news was first reported by The Wrap.